A writer since she first held a pen, Ronda Payne - aka: the Girl with a Pen, is passionate about words. In 2007, she kissed ‘real jobs’ goodbye and began her true career as a copywriter, non-fiction freelance writer (magazines and other periodicals) and creative writer. 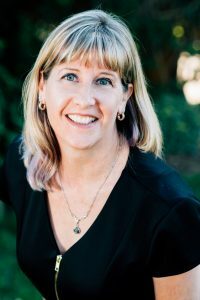 At BCIT (British Columbia Institute for Technology, a school known for its hands-on business programs) in the early 90s, Ronda developed the background to pursue a career in marketing. Over the years, she chalked up several adventures in the marketing field, including those with McDonald’s Restaurants of Canada, Westminster Savings Credit Union, Absolute Software, HSBC and Prairie Naturals. Despite a love of marketing, the writing always beckoned. There was a decade (or so) of writer’s block, but finally, her calling shouted so loudly Ronda couldn't ignore it. At least, she refers to it as her calling, or her muse, and not "those voices in my head". So, she picked up her pen once again and hasn't put it down since. A regular contributor to “Country Life in BC”, Glacier Media Group community papers, "Focus on Adoption" and a range of other publications, Ronda continues to grow in her career by helping businesses find the right words, assisting publications deliver meaningful content and creating books worth your precious reading time. Ronda joyfully lives in Maple Ridge, B.C. in yet another renovation project home with her husband and their pets.